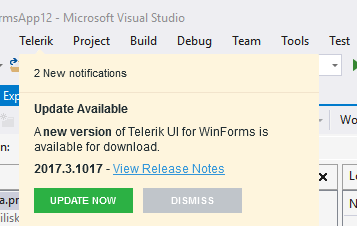 With the Telerik Visual Studio Extensions you keep your projects in an up-to-date state. The Latest Version Acquirer tool automatically retrieves the freshest Telerik UI for WinForms distribution, available on the Telerik website. 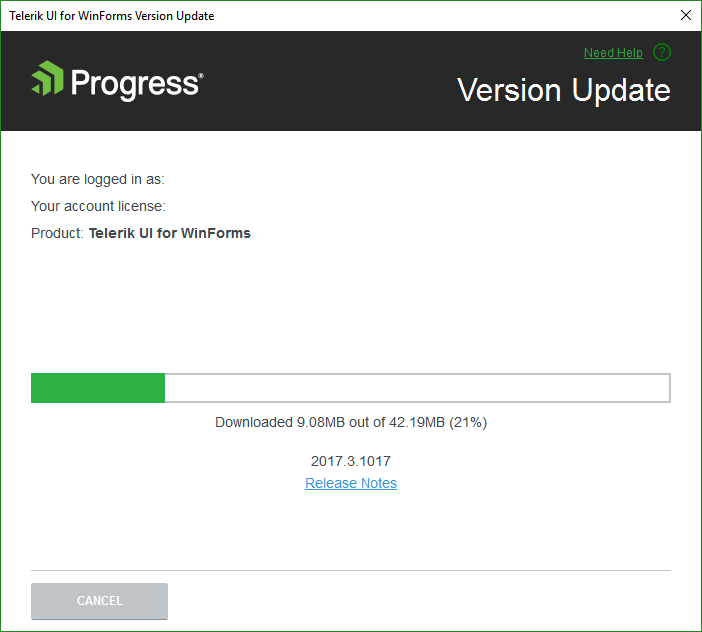 Running the Upgrade Wizard as a next step makes the task of latest Telerik UI for WinForms package utilization extremely easy. If you've disabled the notifications, you can use the Options Dialog to activate them again. 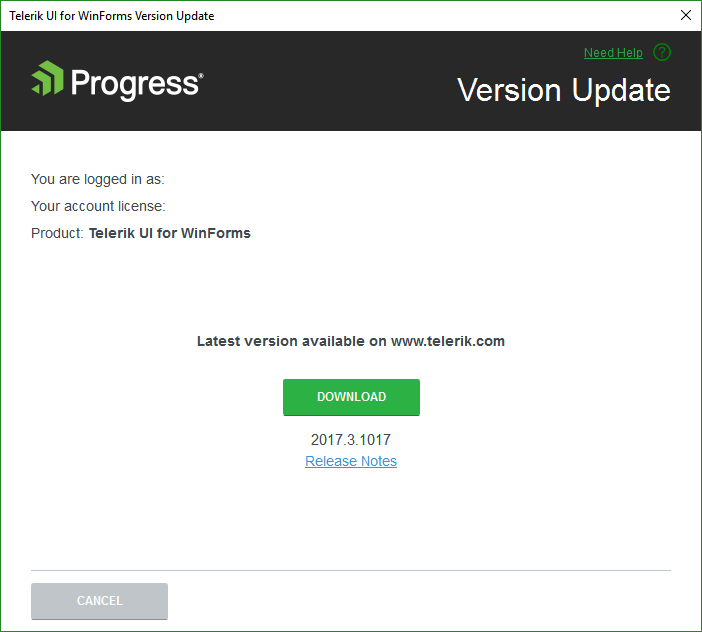 Clicking the Update Now button starts the Latest Version Acquirer tool, prompting for your Telerik credentials and the type of license you own in its first page. If you do not have a www.telerik.com account, you can create one through the Register link. You can use the Save my password checkbox to save having to enter your Telerik credentials multiple times. The persistence is done in a secure manner and credentials are saved in a per-user context. This way other users on the machine that do not have access to your user data from downloading through your account. If your subscription has expired, you could either proceed with downloading a trial distribution or you could renew it and initiate the download again. You can check the additional information about the release by clicking the Release Notes link. This will start a browser, navigated to a page with the release notes related to the specific version. 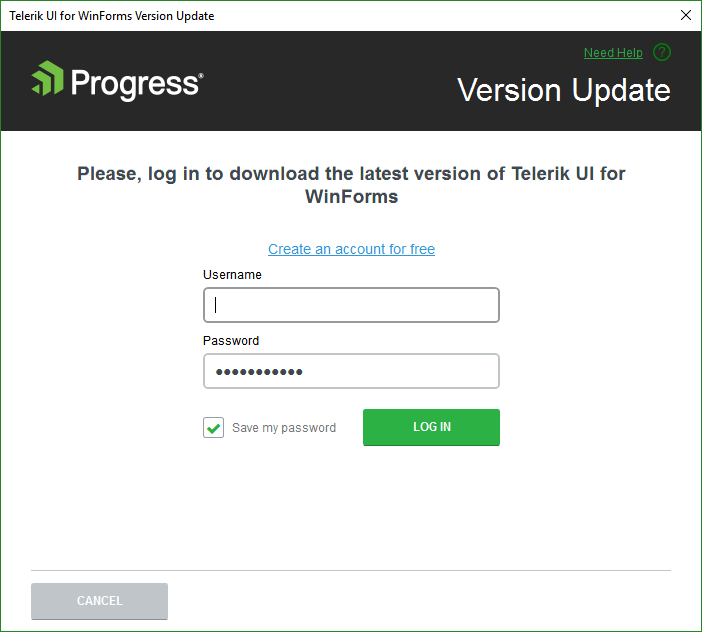 Once the download succeeds, the latest version of the Telerik UI for WinForms will be available for use in the Upgrade Wizard and the New Project Wizard. 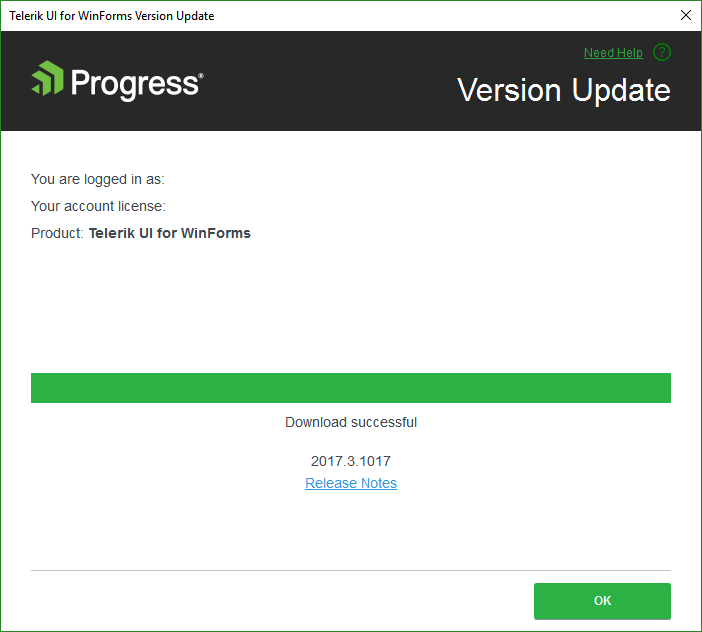 The Download buttons of the Upgrade Wizard and the New Project Wizard launch the Latest Version Acquirer tool too. The Latest Version Acquirer tool actually downloads the hotfix zip files, containing the latest Telerik binaries and any resources vital for the Telerik WinForms project creation. These get unpacked to the %appdata%\Telerik\Updates folder. If you find the list of packages offered too long and you don't need the older versions, you can close Visual Studio and use Windows Explorer to delete these distributions.